I am gonna buy RE Classic 350 Chest Nut Red, please give me a description about its silencer? 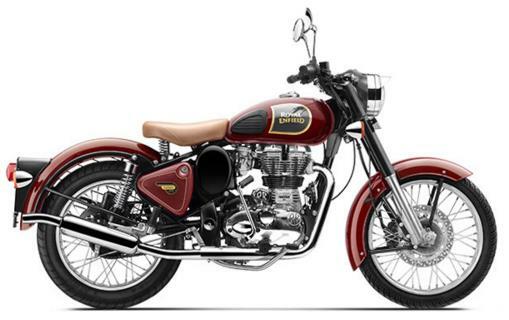 Royal Enfield offers a standard exhaust system with a straight long silencer and the other one seen mostly in the pictures of RE Classic 350 Chestnut is an off-road exhaust. It comes as an additional accessory and becomes useful if you travel on rough roads. The standard exhaust pipe touches the ground most of the times when ever you go over a pothole or a huge speed breaker. The tip or the exhaust mouth is the most vulnerable part due to the long length of the motorcycle, which gets avoided with the off-road exhaust as it is placed higher. It also increases the water wading capacity of the motorcycle. Currently, उत्कृष्ट 350 with standard accessories cost INR 1,27,047. It produces the same 19.8 बीएचपी और 28 टोक़ के एनएम.